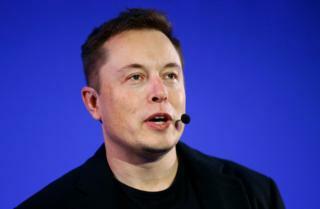 Tesla chief Elon Musk endorses a marketing idea by a fifth-grader, Nasa requests name suggestions from Twitter users for seven newly discovered planets, and the debate over Garfield the cat's gender is put to rest. Tesla chief Elon Musk has agreed to adopt a marketing idea pitched to him by a schoolgirl from Michigan. Bria, who is nine years old wrote to the 45-year-old CEO of Tesla about "homemade commercials" as part of a school project. A copy of Bria's letter was posted on Twitter by her father Steven, who says he is an auto writer and professor at the Art Institute of Michigan. "Elon, my daughter wrote you a letter for a school project. She mailed it to Tesla, but I figured I'd paste here. Thank you!" wrote Bria's father. "I'm Bria from Ms Esparza's 5th grade class. I'm writing [to] you because I would like to make a suggestion for your company," said Bria in her letter. "I have noticed that you do not advertise, but many people make homemade commercials for Tesla and some of them are very good. They look professional and they are entertaining. "So, I think that you should run a competition on who can make the best homemade Tesla commercial and the winners will get their commercial aired. "The cool part is that you still won't be taking the time and money to advertise for yourself." Tesla Motors is known for running an idiosyncratic marketing strategy, which includes no advertising and no chief marketing officer. Bria added that Mr Musk could award the winner "a year of free supercharging or a Model 3 Easter Egg". Bria, who said she aspires to become a politician, also said she was unhappy Tesla cars could not be purchased in her home state. "It's so sad that they cannot be bought in Michigan...I plan to be a politician when I grow up, and I will make sure that the government protects the environment and Teslas can be bought anywhere." Tesla has been involved in a long-running dispute with Michigan's officials over the direct selling of its cars to consumers. Last year, the company filed a lawsuit against Michigan's governor and other state officials. Bria signed her letter as Mr Musk's "green fan", and made a further request: "P.S. It would be so cool if you could hook me up with a Tesla T-shirt!" Mr Musk, who is an avid social media user, noticed the copy of Bria's letter on Twitter and duly replied to her father. "Thank you for the lovely letter. That sounds like a great idea. We'll do it!" Bria's father confirmed later to surprised Twitter users that she had actually written the letter all by herself. "She actually wrote it. She loves writing. I help her edit her stuff, but she's gotten better, and she reads a ton." Image caption Nasa turned to the public for assistance in naming the seven newly discovered planets. "Planet McPlanetface. Moonie McMoonface. Rocky McRockface." These are just some of the names social media users suggested after Nasa sent out a tweet asking for #7Namesfor7NewPlanets in the Trappist-1 System. Late last month, astronomers announced the discovery of seven Earth-sized planets orbiting a single star, some of which could be potentially habitable. It's hard enough to think of one name, but seven in one go is no easy feat. So Nasa's appeal for help was met with an outpouring of support, with 3,400 replies so far and several thousand retweets. Popular TV and cartoon characters, both for children and adults, featured prominently among the proposed names. "Rachel, Monica, Phoebe, Chandler, Joey, Ross and Janice," one user said. "Pooh, Piglet, Kanga, Tigger, Roo, Eeyore and Christopher," a UK-based tweeter chimed in. And bringing the Seven Dwarfs into the spotlight, another proposed: "Bashful, Doc, Dopey, Happy, Sleepy, Sneezy and Grumpy." Of the most most popular monikers tweeted at Nasa: "Planet McPlanetface. Moonie McMoonface. Rocky McRockface. Icy McIceface. Dusty McDustface. Gasy McGasface. Wanda." But for some, a music-themed solar system sounded more appealing. "Jermaine, Tito, Marlon, Jackie, Michael, LaToya, and Janet," CBC Radio News host Tom Harrington's suggested. But another user went for a very simple suggestion: "Mon, Tue, Wed, Thur, Fri, Sat, Sun." Dr Alexis Rodriguez, a senior scientist at the Planetary Science Institute in Tucson, told the BBC that one of the suggestions he found funny was Krypton, Superman's native world. He added that Nasa is trying to get people involved in naming the planets because "it brings into perspective our position in the cosmos". A similar fiasco erupted in spring of last year when "Boaty McBoatface" topped a public vote to name a UK polar research ship. The ship was later instead named after RRS Sir David Attenborough, though one of its sub-sea vehicles was named Boaty. The question is, will Nasa take heed to the public's demands? A tweet speculating that iconic comic strip cat Garfield was gender-fluid launched an intense Twitter debate and Wikipedia edit war. The dispute over the gender of the lazy cat - famous for his love of lasagne - was put to rest yesterday. The original tweet, by internet satirist Virgil Texas, cited comments that the comic creator Jim Davis made three years ago: "Garfield is very universal...By virtue of being a cat, really, he's not really male or female or any particular race or nationality, young or old." Mr Texas proceeded to say that he had edited Garfield's entry on Wikipedia to reflect this, amending the gender to "none". The cat's gender was subsequently edited dozens of times on Wikipedia, with people citing different comics as evidence of Garfield's gender, such as which pronouns were used in the comics. A Twitter account that monitors and tweets Wikipedia edits made from IP addresses in the US Congress even tweeted yesterday that Garfield's gender had anonymously been edited from the US House of Representatives. All this prompted a Wikipedia admin to lock the cartoon comic character's page and set the cat's gender in the entry to male. But the Washington Post yesterday put an end to the controversy. Mr Davis told the newspaper: "Garfield is male. He has a girlfriend, Arlene." And Virgil Texas conceded : "The Washington Post conducted an investigation, and, well, I won't bury the lede here: Jim Davis said Garfield is male."